News just in from ABC Radio is that the program “Lonesome, Powerful Sound – Mike Compton and Steve Gilchrist on mandolins“, first broadcast on Radio National in 2008, is to be aired again this month in a new version. The broadcast times are 4.05pm Saturday 28 July and 9.05pm Monday 30 July 2012. The program will also be available for streaming for four weeks after broadcast – go to this link on the ABC Website. Down The Overlander’s Trail – The Early Days of Country Music In Australia. It may seem amazing to some there was a time when country music ruled the Australian capital city radio airwaves. This was the 1940s and early 1950s when we didn’t feel as ‘musically pigeon-holed’ as today. There was also a lot of ‘light classical’ music available but it was ‘country and western’, for that’s what it was called, that you heard when you tuned into the more popular stations. Much of the music was used for station breaks, interludes and to back spoken commercials. It had a ‘western’ sound familiar to anyone who had seen a Hollywood western film – for this is where ‘country and western’ got its name. 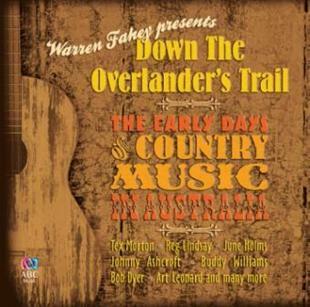 Down The Overlander’s Trail – The Early Days of Country Music In Australia features 38 tracks highlighting this significant time in Australian music history with artists such as Tex Morton, Reg Lindsay, June Holms, Johnny Ashcroft, Slim Dusty and many more. 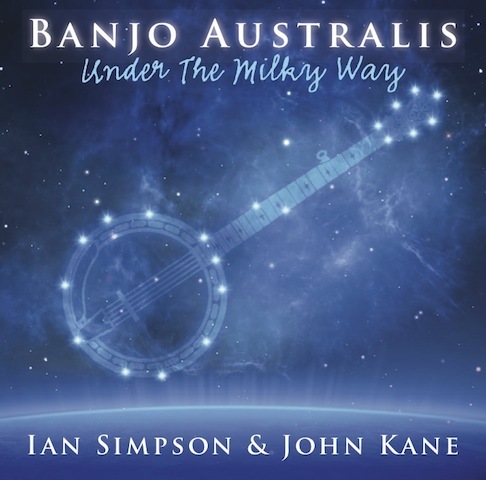 This 2CD collection is to be released on 20th January, 2012 through ABC Music/Universal Music Australia. I heard about a program on Landline last week where ABC’s Tim Lee interviews Steve Gilchrist on the construction of his house in Victoria. I had wondered if it would be repeated sometime in the future. Quite by chance this morning, Judy Jones put up reference to the story’s transcript and video on the Landline website. Thanks Judy. An extraordinary house is taking shape on the shores of an ancient and mysterious volcanic crater lake in western Victoria. The building pays homage to the skills of ancient craftsmen, so faithfully in fact that scarcely a nail has been used in its construction. The massive timber frame, cut from roadside logs that were destined to become woodchips, is held together by wooden pegs. That the house is in harmony with the environment is hardly surprising as its owner is a world-renowned musical instrument maker whose life dovetails neatly with wood. Read the video and whole article on the Landline website. Spicks and Specks on ABC TV – 1st Sep 2010. The Davidson Brothers will be the feature act on Spicks and Specks in September. What is Spicks and Specks? It’s a TV quiz show which features two of three people as they sing, shout and delve deep into the recesses of their collective memories to help earn their teams an extremely inglorious victory. Whether discussing the lyrical genius of Gilbert and Sullivan, The Beatles or just how a musician can choke on a harmonica, no musical genre is overlooked. Featuring video clips, album covers, and information you never thought anyone could know the answer to, Spicks and Specks enlightens and entertains – and exposes the world of music like never before. It often features a live band or musical ensemble playing versions of tunes which the teams also need to guess or deduce the names of. Adam Hills, one of Australia’s favourite comedians and winner of Edinburgh’s Best of the Fest award, is joined by two team captains, comedian and actor Alan Brough and radio breakfast announcer Myf Warhurst, as well as brave personalities who enjoy having long forgotten embarrassing stories laughed about on national television. This was an experience. It humbles you when you realise that for the 7 people you see on telly, there’s a heap of people running around behind the scenes making sure everthing runs smoothly. They really looked after us. It was a fun, and exciting place to take bluegrass – Hamish Davidson. 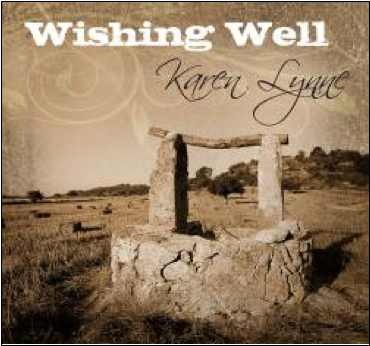 Following the success of her first single, ABC Music has just released the second single from Karen’s latest album, Wishing Well, to Australian country music radio through ABC Heartland/Universal music. The track, Sweetheart Darling of Mine is a great Bluegrass & Acoustic song which showcases Karen’s strong vocal ability and is once again being supported by many of Australia’s Country Radio DJ’s, being quickly added to play lists across the Radio airways.Radio Presenters wanting the track, should simply go to this link, where there is broadcast quality WAV file download of the track. Blue Mountains based singer Karen Lynne has a style of music that ranges from Country to Bluegrass to Folk and everything in between. Karen Lynne has taken great strides in her career as a singer/songwriter since starting out more than 20 years ago. She has had considerable success with her recordings and has collected many accolades and Awards along the way including Golden Guitar Awards finalist placings, her hand-prints in the Tamworth Hands of Fame Park, the Frank Ifield International Spur Award and many other Independent artist Awards. Karen Lynne’s new album Wishing Well is her first through ABC Music’s new Heartland label. The tracks have been produced by Herm Kovac & Rod McCormack and include celebrated Australian musicians including Mick Albeck, Trev Warner, James Gillard, Michel Rose & Rod McCormack. In June this year we referred readers to a feature on Mike Compton and Steve Gilchrist interviewed by ABC radio. That interview included a sound bite which at that stage (according to the website) had limited availability. The story has surfaced once again on ABC’s website for those who may have missed it or could not access the sound bite. Mike Compton is regarded as the leading interpreter of the style of the father of bluegrass, Bill Monroe. He knew him well and was his mandolin duet partner on what’s thought to be Monroe’s last recording. Steve Gilchrist, on the other hand, has a mentor he never met; Lloyd Loar was an acoustical engineer who designed and made instruments for the Gibson company in the early twentieth century. Monroe famously played one of his mandolins and Loar’s extraordinary work continues to inspire makers and players today.